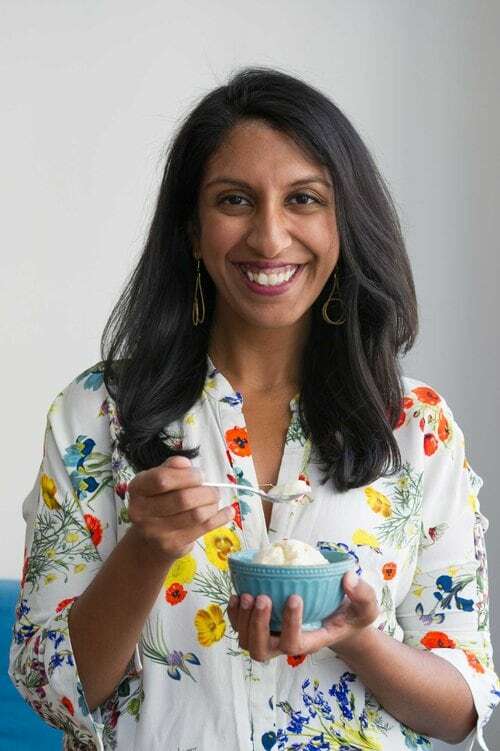 Pooja Bavishi, CEO of Malai, an ice cream company with flavours inspired by aromatic, South Asian spices and global ingredients, is your go-to person in New York for richly textured mango ice cream. The Alvin Ailey Dance Company has honoured Vikas and Jaishri Kapoor, who understand the power of the corporate world to sustain the arts, at the Ailey Spirit Gala at Lincoln Centre for their hands-on support. The works of a distinguished group of artists, including MF Husain, SH Raza, V Gaitonde and Tyeb Mehta, among others, are coming to Asia Society in a landmark exhibition by the Progressive Artists’ Group. If you are getting an urge for a delicious kulfi in New York, you don’t go to a kulfi-maker but approach a graduate of the London School of Economics. 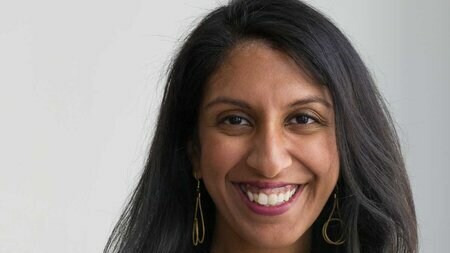 Pooja Bavishi who holds a BA in Public Policy from UNC-Chapel Hill and also an MBA from NYU’s Stern School of Business is your go-to person for richly textured mango ice cream. Bavishi is the CEO of Malai, an ice-cream company with flavours inspired by aromatic, South Asian spices and global ingredients. She really knows how to give you a delicious creamy dessert. Bavishi’s interest in food started when she was a child in Pennsylvania, watching cooking shows on television, and trying to recreate the recipes herself. An ice cream maker that her parents gave her as a child turned her into a passionate experimenter with Indian spices. Bavishi’s most popular flavour is Rose with Cinnamon Roasted Almonds, and Malai currently has 22 flavours in rotation, including Masala Chai, Orange Fennel, and seasonal flavours including Sweet Corn Saffron and Pumpkin Garam Masala Crumble. 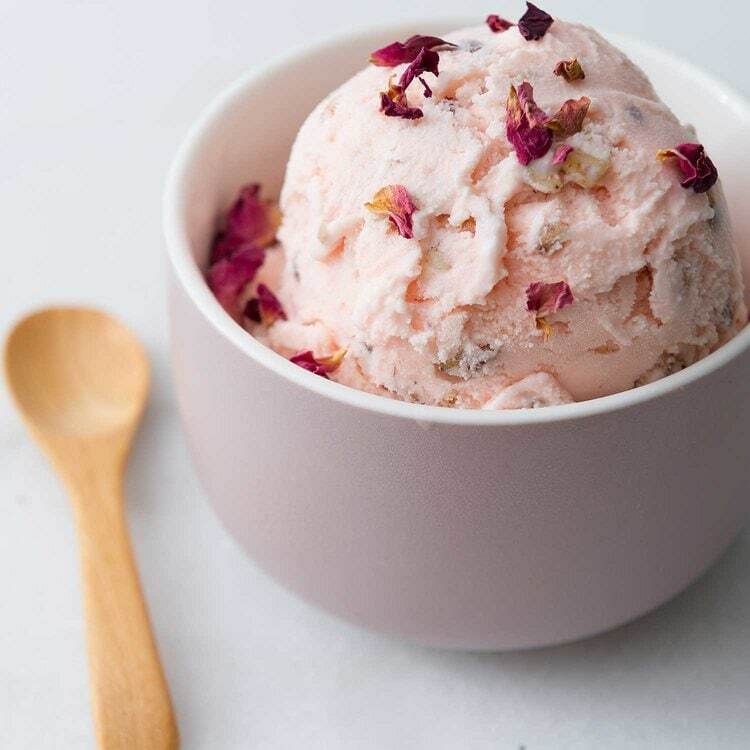 This creamy addictive ice cream can be bought from her store in Cobble Hill, Brooklyn and is available at Whole Foods and other speciality stores, and is shipped nationwide. After a bit of Masala Chai or Golden Turmeric, you will never be able to settle for plain old vanilla or strawberry ice cream. Bavishi has lots of frozen delights up her sleeve – including Chili Chocolate, and believe it or not – Carrot Halwa Malai, which is essentially carrots sauteed in ghee with a touch of cardamom. Bavishi was selected as one of ten Tory Burch Foundation Fellows, which includes a $10,000 business education grant, and the opportunity to pitch for a $100,000 grant investment. What better way to empower the India-America connections than through the arts? For years, East was East and West was West and you rarely saw Indian-American business magnates supporting Western arts. 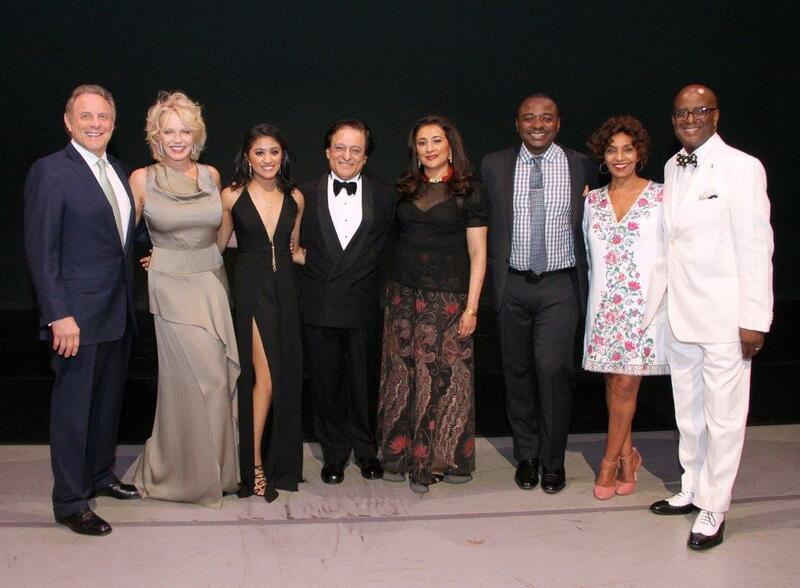 This summer the Alvin Ailey Dance Company honoured Vikas and Jaishri Kapoor at the Ailey Spirit Gala at Lincoln Centre for their hands-on support. Both of them have been deeply involved with the financial world and so understand the power of the corporate world to support the arts. Vikas Kapoor is the chairman and CEO of Mezocliq, a data solutions company but started out at McKinsey & Company and co-founded Mitchell Madison Group, a consultancy firm that he later sold. Yet what made him such an avid music lover? Was it his schooling at Princeton, his MA in philosophy from Harvard or his MBA from Harvard Business School? A huge fan of classical Indian music who plays the tabla, Vikas is a trustee of Newport Jazz Festival and sits on the board of the Metropolitan Opera. Vikas, Riya and Jaishri Kapoor with Robert Battle, Artistic Director of Alvin Ailey Dance Company. Fortunately for him, Jaishri is as deeply entrenched in the arts. A graduate of Wellesley College, she has a Masters in International Affairs from Columbia and has worked in finance at Merrill Lynch. They have embedded music and dance into the life of their family so that home is often the place for concerts of known and unknown artists. When their twin daughters got initiated into ballet and modern dance, Jaishri became an active supporter of the Alvin Ailey educational initiatives and much later joined its board as a trustee. A strong supporter of emerging artists and immigrant talent, Jaishri has hosted several events to showcase unknown names. It’s certainly the ‘Season of India’ in New York. The works of a distinguished group of artists — KH Ara, SK Bakre, HA Gade, MF Husain, SH Raza, and FN Souza — as well as V Gaitonde, Krishen Khanna, Ram Kumar, Tyeb Mehta, Akbar Padamsee, and Mohan Samant are coming to Asia Society in a landmark exhibition by the Progressive Artists’ Group. They do signify the true essence of India as these artists come from varied social, religious and cultural backgrounds and each conveys their own idea of India. The Progressive Revolution: Modern Art for a New India, is on view at Asia Society Museum on September 14, 2018 through January 20, 2019. 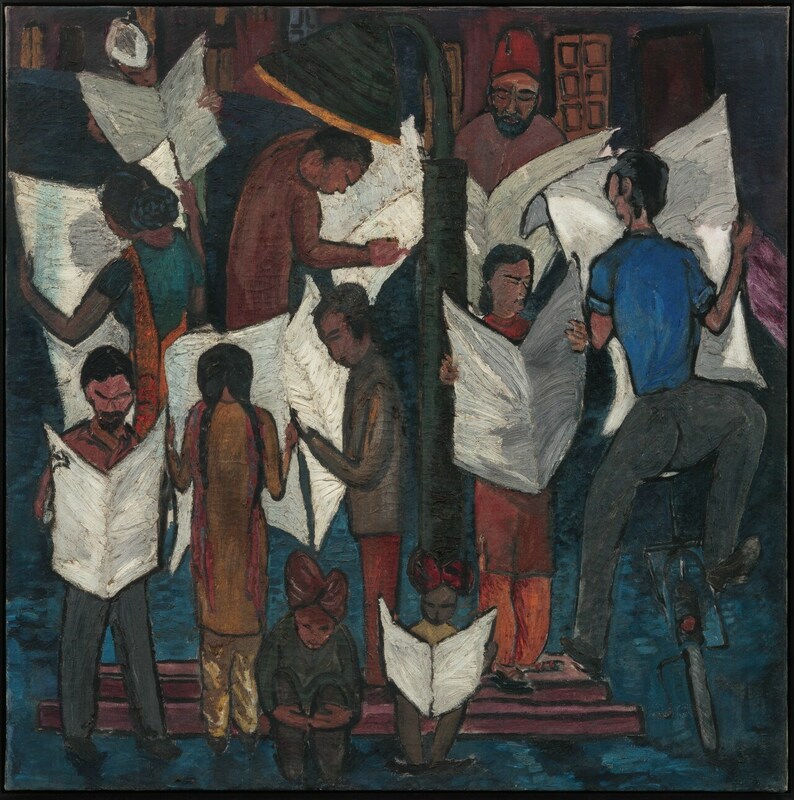 “The Progressives’ Artist Group has come to be seen as the ‘quintessential Indian Moderns,” says Dr Zehra Jumabhoy, co-curator of the exhibit along with Boon Hui Tan, the Director of Asia Society. “They came from all walks of life: rich, poor, Dalits, Muslims, Brahmins, Roman Catholics. Given the political climate in both India and the US today, I think this principle of tolerance – part and parcel of the group’s DNA – is vital to rekindle.” Many thought-provoking talks are planned around this exhibition. 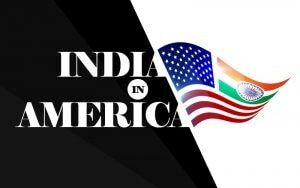 While Indian-Americans will learn many things about India and themselves from this important exhibition, one thing I noticed is the names of many Indian-American power-players in the list of corporate supporters of this exhibition of Indian art. For many years, such shows had mostly Western support but now along with Western names, it’s a pleasure to see South Asian names such as Amita and Purnendu Chatterjee, Blanca and Sunil Hirani, Sangita Jindal, Rajiv and Payal Chaudhri, Kent and Marguerite Charugundla, The Darashaw Foundation, Sonny and Michelle Kalsi, Indra and Raj Nooyi, and The Rajadhyaksha Family. We are putting our pride and our support for our art and that’s a wonderful thing to see. Lavina Melwani is a New York-based journalist who blogs at Lassi with Lavina.